Wonderful home in Luxury Gated Community-Live Maintenance Free!! 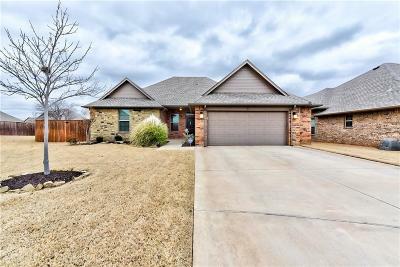 This home offers 4 bed/2.1 bath with hardwood floors, granite counter tops, stainless appliances, gas cook top, breakfast bar & great light fixtures. Downstairs features large living room w/ stone surround fireplace open to the kitchen, 3 bed & 2 full baths. One bedroom currently used as office. 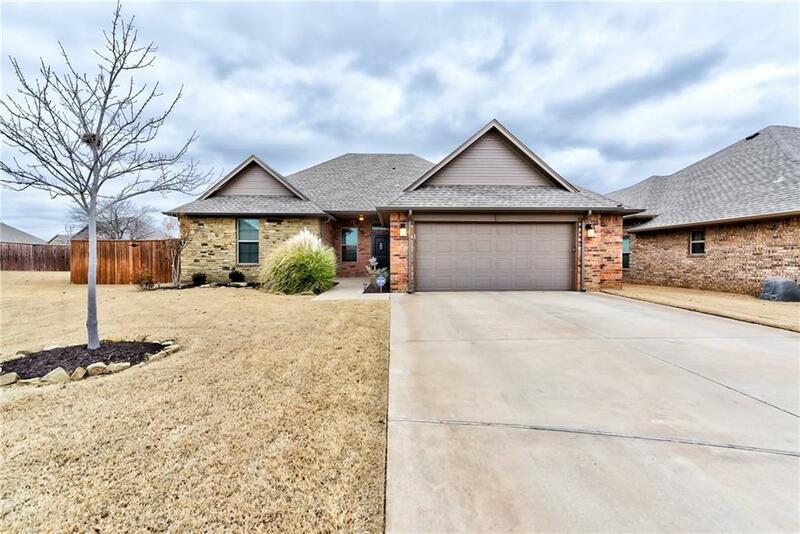 Huge master bed features hardwood floors, whirlpool tub, over-sized shower w/ 2 heads, double vanities w/ plenty of storage & large walk in closet. Bedroom off kitchen offers walk in closet & nice hall bath with tub/shower combo. Upstairs offers huge bedroom w/ closet & 1/2 bath-currently used as media room. Covered patio with gas hookup for grill & all wood fence. Storm shelter in garage. This gated community offers pool, clubhouse w/ workout equipment, all homes have weekly lawn service, weed & fertilizer control and all common areas maintained.